Knowing their language is an important way to get closer to the culture of a people. In fact, a languages are the medium for the thoughts, values, and habits of the people who speak them. For example, there is a famous saying that the Inuit population has several words to describe snow. Whether this is true or simple urban legend, the truth is that the language we speak is an expression of our way of seeing and thinking about the world that surrounds us. @ABAEnglish and idioms from the Anglo-Saxon countries. What happens if the same language is spoken in many different countries, as is the case with English? Are there variations from one country to another, besides the variants of British English and American English? The answer is yes. The proof of this lies in the fact that we can find idiomatic expressions in every English-speaking country that are not used or understood anywhere else. Here we have chosen two examples from each English-speaking country. Let’s take a look together. While it literally means “the picnic is missing some sandwiches,” this idiom is used to show that a person has a screw loose or that they simply lack a bit of common sense. It was used for the first time on a BBC Program in 1987 called the Lenny Henry Christmas Special. She is very nice, but she is a few sandwiches short of a picnic. This phrase means “ready,” more or less. It is used to indicate that something is much easier than it seems. It is usually said after giving instructions about a procedure or how to do something. Plug it in, press the left button on the remote control, and Bob’s your uncle! The TV is on! A very common expression in American universities which literally means “punch the books.” It is used to show an intense and prolonged period of study, a bit like saying “crazy, desperate studying.” American students say they are hitting the books when they are preparing for a big exam or major test in the subjects they are enrolled in. Sorry, but I can’t come out with you tonight. I have to hit the books. I have an exam next week. While this phrase literally compares someone to a pile of paper money, it actually indicates that someone is very attractive and elegant. It is a great compliment that can be used for both men and women. You look so elegant tonight! You look like a million dollars! This expression is used to show that it is very cold outside, so cold that you would steal the skin from a live cat to use its pelt for warmth. Poor cats! We hope that the weather is not so ruthless in Ireland! It is minus 5 tonight. You could skin a cat out there! If you are having difficulty paying for something, this is an appropriate phrase to use. Not necessarily because it is expensive, but rather because of financial problems. I am still paying off my mortgage. It cost me an arm and a leg! “Every little bit helps,” is what this phrase means. At the end of the day, a bunch of small change can add up to form a good sum. Don’t throw it away. Many a mickle maks a muckle! A cat’s lick is used to refer to a quick, superficial wash. I don’t have enough time to wash my clothes. Just a cat’s lick! Someone who goes cold turkey is someone who has suddenly stopped doing something or has managed to get out of a situation in a sudden and definitive manner. 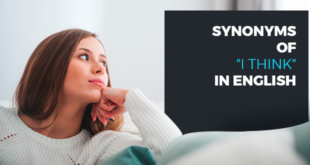 This expression is used along with the word that indicates what has been moved away from. I want to learn how to speak English well. So, I stopped speaking my native language cold turkey! A general, shared practice that everyone follows without a specific law that requires it is a rule of thumb. For example, in Canada, it is a common to show up for a job interview about 15 minutes early, even if there is no written code that prescribes this behaviour. It would be better if you are there 15 minutes in advance. It is the rule of thumb! Captain James Cook was the first European to set foot in Australia in 1766, while commanding the HMS Endeavor. So, having a Captain Cook means taking a quick look at something. I went to the new shop on the corner. I had a Captain Cook and really loved it! A John Dory is a fish that can be found in the Sydney harbour which is delicious grilled or fried. Maybe because it rhymes with “story,” we ask “What’s the John Dory?” to find out the news of the day or the latest gossip. I was away for the weekend, so I don’t know what happened. What’s the John Dory? This exclamation, literally “difficult work,” is used to indicate that something is very funny. Have you seen Mark this morning? Hard case! She looks like mutton dressed as lamb. As a mutton is much older than a lamb, this expression is used to refer to a woman who dresses much too young for her age. Did you see Jean at the wedding? She looked like mutton dressed as lamb! 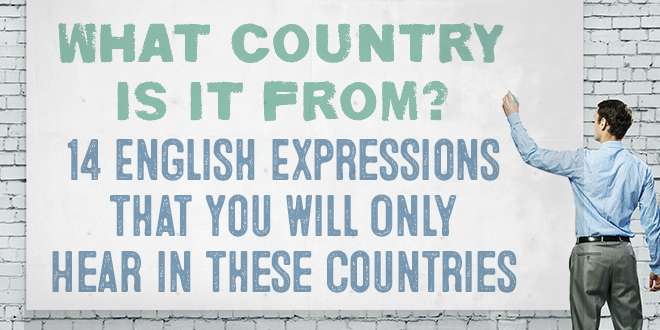 Now that you know some typical expressions for each English-speaking country, you are ready to choose your next destination for your summer holidays. 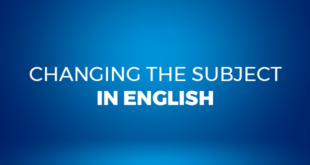 If you are thinking about registering for an English course before you leave, try ABA English. 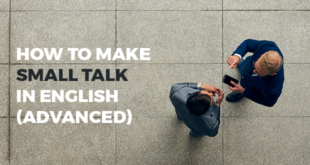 We offer 144 video classes and an equal number of short films, as well as experienced native teachers who can help you learn either British or American English. OK, I want to download the app!